London Zoo is located in the northern part of Regent’s Park to the south west of Camden Town. It is one of the oldest zoos in the world and a research institute. 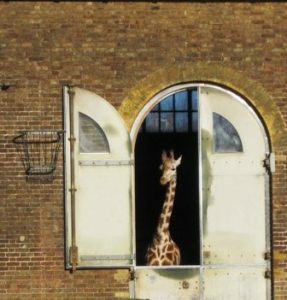 The zoo is a somewhat bizarre neighbour – it strange to lie awake in your bed on a hot sunny night in Camden and hear through the open window the roaring of hungry lions on the prowl! London Zoo is informative and fun – but don’t get downwind of the penguins.